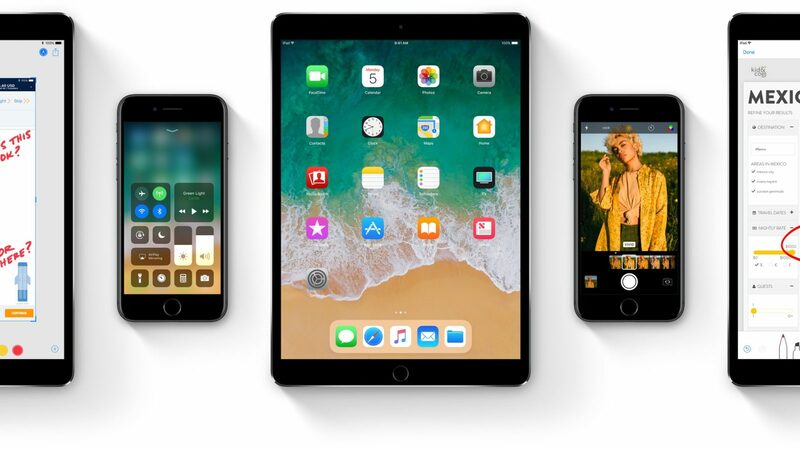 Apple's iOS 11 is gearing up for release, and aside from a bevvy of new and exciting functionality, one of the most buzzworthy changes to the formula is arriving in the form of a complete reliance on 64-bit software. The change to 64-bit means that 32-bit apps will lose support entirely, which means users will be unable to download, update, run, or even install apps that haven't been optimized for 64-bit architecture. The most popular apps mobile users enjoy, like Instagram or Facebook or Snapchat, have been updated or will be updated prior to the release of iOS 11, but many other 32-bit apps will be left in the dust. Fortunately, there is a method that iPhone owners can use to determine which of their apps are 32-bit only, which can help make an informed decision as to whether they're ready to upgrade to iOS 11. • First, open up Settings. • Tap on General, then About, and then Applications. • Under App Compatibility, users will find a list of all of the 32-bit apps installed on the phone. • Underneath a warning stating that the listed apps may slow down the user's iPhone will be a list of apps with updates available as well as a list of which apps don't have updates available. The latter are the ones users will have to make an informed decision about. Once users discover which apps are 32-bit, a simple choice needs to be made: if the app has an update that allows it to work in 64-bit, all that's needed is to update the app. It will continue to work in iOS 10.3, and should be totally compatible with iOS 11 once the operating system goes live. On the flip side, if any app is listed as 32-bit and doesn't have an update, the user will have to decide between keeping the app around by running 10.3 after the release of iOS 11, or instead to update to iOS 11 and be unable to use the application until such a time the developer is able to update it. Fortunately, the shift to 64-bit hasn't been much of a surprise. Apple has made a big show of the shift, and app developers have been warned by Apple that the change was coming dating all the way back to 2015. Naturally, 2017 seemed a long way away back then, but the time of Apple's so-called Appocalypse is nearing, and any app developers who don't want their software floating around in app purgatory have likely already started working on updating. With that said, it seems Apple is firmly commited to dropping 32-bit compatibility. Going forward, developers will not be able to program in 32-bit, and after a few weeks or even months, chances are that all of the biggest apps and app developers will have embraced the change. There's a small chance that some of our favorite iOS games may wind up on the chopping block after the switch to iOS 11, so enjoy the few remaining weeks by checking out some of our favorite titles featured on our list of the Best iOS Games.